Bomberman Flash is totally free and requires no registration! 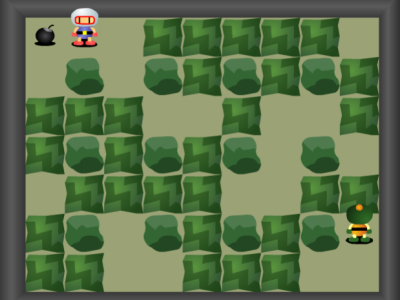 Bomberman Flash is an attractive bomb battle games. Your mission is to place bombs and destroy objects in the map. This game has 2 modes: 1 Player and 2 Players. Choose a mode and start playing!